Valance, drapes, curtains and blinds. Choosing the right window treatment for home can get more complicated that what you expected. Three are the goals you might have in mind: design, privacy and functionality. Trust us, you don’t need to give up on any of them in order to achieve the other. There are plenty of blind suppliers in Derby (Derbyshire) able to provide you with many different products whatever your tastes are, like wooden vertical blinds, venetian roller blinds or bamboo blinds, for example. Get to know some basic tips characteristics before heading to the store. First of all, make up your mind. Decide how much light and privacy you want in the room, keep in mind your budget, how much effort you’re willing to employ in cleaning, safety needs and the room’s decoration. These will help you to decide, for example among cellular shades and room darkening blinds. 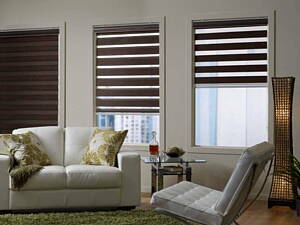 Blinds are a great bet since they provide a nice look, privacy and a custom fit. Also, they allow you to adjust how much sunlight you want to come into the room. On the other hand, wooden blinds aren’t a good choice for rooms where there may be humidity like bathrooms and the kitchen. For these rooms, sheer shades are a great option, while honeycomb and cellular shades are good for bedrooms. Every open-living space will look amazing with roller and solar shades and vertical blinds are the answer for patio doors. Looking for solutions for your office? Aluminium shades. You can also choose insulating blinds for noises and temperatures. When it comes about design, wider horizontal slats will make the room look bigger and shades are the best choice if style is what concerns you the most. At Infoisinfo we always work hard to be able to offer you some useful information so that you can easily find the best products and services for you and your company in Derby (Derbyshire), whatever your needs are. We are aware of how much you care about every detail at home and how important all interior decorations are for you. For this reason, we would like to give you a hand to find the best window blinds. Thus, we have prepared a list of the best blind suppliers in Derby (Derbyshire) for you to compare and choose from. Get in touch thanks to the contact details provided such as phone numbers, websites, opening times and address. In addition, you can have a look at comments and valuations from other buyers about this furnishing.